House Majority Leader Mike Turzai’s proposed legislation to privatize alcohol sales got a huge boost from former Pennsylvania Liquor Control Board (PLCB) chairman Jonathan Newman, who threw his support behind it at a Tuesday morning press conference. Newman’s seven-year tenure as PLCB chairman was highlighted by the introduction of the Chairman’s Selections, where Newman would negotiate to buy large quantities of a particular wine at low prices and pass the savings onto Keystone State imbibers. In early 2007, Newman stepped down after a dispute over the creation of the board’s CEO position, which then-Chairman Newman deemed unnecessary. 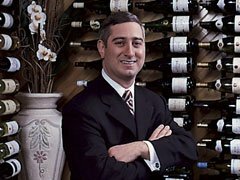 The former Wine Enthusiast Man of the Year now runs his own wine retail operation, Newman Wine & Spirits. Other proponents of Turzai’s measure joined him at the press conference, including state Rep. Tom Killion, who argued that privatization would allow the PLCB to focus on regulation and education. “This legislation responsibly moves Pennsylvania out of the alcohol business, while at the same time maintaining state revenues and ensuring greater enforcement of the Commonwealth’s liquor laws,” he said. The measure, House Bill 11, would eliminate the eighteen percent Johnstown Flood tax and the thirty percent markup by the PLCB and replace it with a yet-to-be-determined tax per gallon (somewhere between 8 percent and 12.5 percent). Turzai believes the per-gallon tax, along with a boost in sales due to better pricing, will offset any lost revenue. During Turzai’s testimony before the House Liquor Control Committee last week, Democratic state Representative Dante Santon of Berks County disputed claims of revenue neutrality. Help local and state police enforce liquor laws by providing concurrent jurisdiction. Require retail operations to be maintained in a separate area dedicated to the sale of liquor and all retail store employees to be at least 21 years old; and subjecting retail licensees to “age compliance checks” to ensure against selling to minors. You divest the asset because the Commonwealth should not be in the ‘business’ of selling alcohol. The PALCB is a political football. Look at Rendell rewarding crony Conti, creating a position that wasn’t needed or wanted.